The vision of the Department of Children and Families Office of Economic Self Sufficiency program is to strengthen Florida's families through private, community, and inter-agency partnerships that promote economic self-sufficiency. In an effort to provide improved access to services for our customers, we have developed a Community Partner Network and are looking for participants to work with our mutual customers in a "multiple access" approach to self-sufficiency. By maximizing shared resources, we can increase customer access to services needed to strengthen families in the local community by providing different levels of involvement. The Department of Children and Families still remains the designated state agency to determine eligibility for program services/benefits. Designate liaison to serve as single point of contact. Provide training to community partner staff as needed. 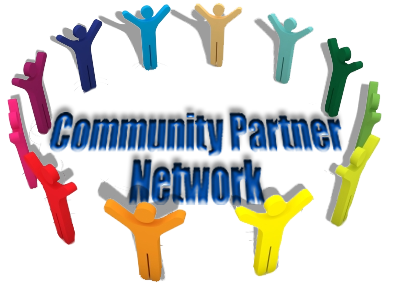 Provide programmatic assistance to community partner staff in their role as an access point. Supply paper applications and literature about programs. Process applications completed at the community partner site, determine eligibility for benefits, and notify applicants of eligibility or ineligibility. Perform services per agreement (Partnership Levels). Provide data and pertinent feedback regarding services per agreement. Find out more about Partnership Levels. Interested? Find a Community Network Liaison near you. Need to apply for assistance? Find your nearest Partner. The Department of Children and Families remains the designated state agency to determine eligibility for program services/benefits.